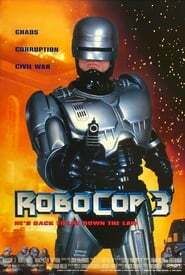 RoboCop 3 (1993) BluRay 480p, 720p Robocop saves the day once more. This time the half man/half robot takes on ruthless developers who want to evict some people on "their" land. Jurassic Park (1993) REMASTERED BluRay 480p, 720p During a preview tour, a theme park suffers a major power breakdown that allows its cloned dinosaur exhibits to run amok. Last Hero in China (1993) BluRay 480p, 720p Jet Li stars in this comic spectacle as a Chinese "Robin Hood" who stumbles upon a kidnapping scheme after unwittingly opening a martial arts school next to a brothel!